They’re new to us, but they have a sound that is instant classic. 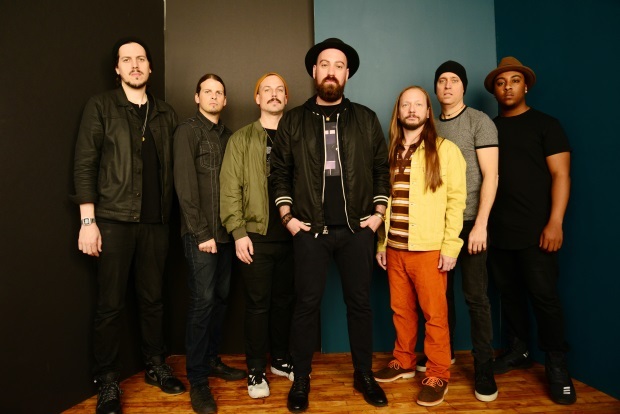 The Motet - Dave Watts [drums], Joey Porter [keys], Garrett Sayers [bass], Ryan Jalbert [guitar], Lyle Divinsky [vocals], Drew Sayers [sax], and Parris Fleming [trumpet]— combine funk, soul and attitude to create something special that classic soul lovers with dig. Later this month the group will issue their newest album, Death or Devotion, as the Denver act marks 20 years and eight full albums together. And the first song to hit us from the disc is as infectious as it gets, a song that sounds like classic AWB brought forward into a modern funky stew. Check out “Highly Compatible,” our newest First Listen, and welcome The Motet to SoulTracks.